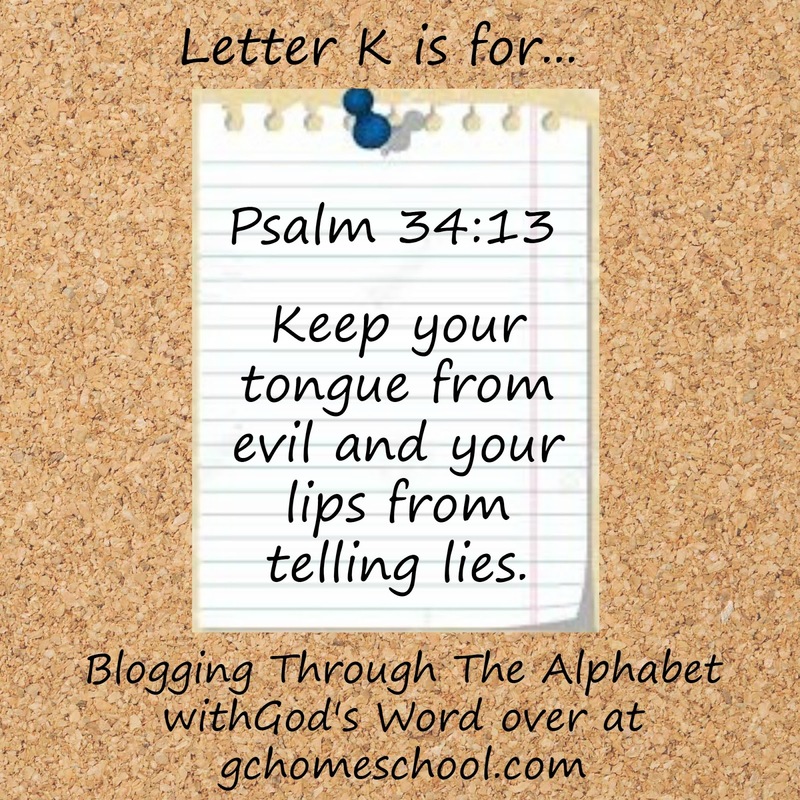 K is for...Psalm 34:13 - Keep your tongue from evil and your lips from telling lies. 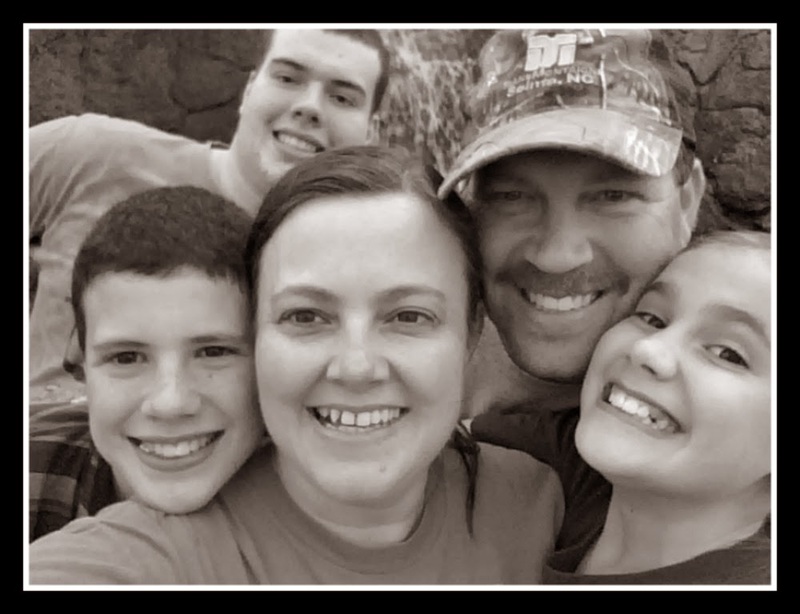 If you really want to see preschoolers giggle, try saying this verse with your tongue sticking out. I eat up their little giggles! 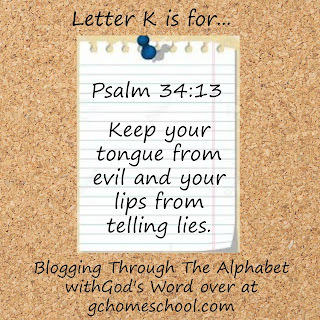 What a great verse choice for K!